Dr. Bossio has partnered with the most respected online vendors to ensure that her patients can order the same safe, effective supplements sold in her office. Naturally Well Family Medicine is a full service healthcare facility, where patients are able to purchase medicines and supplements directly from our on-site dispensary. We recognize, however, that online purchasing offers some of our patients an added measure of convenience. The following services offer safe, professional-grade supplements from suppliers that meet Dr. Bossio's high standards. 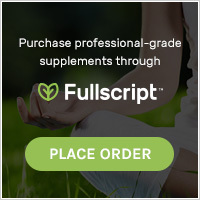 Fullscript (formerly Healthwave) is a secure purchasing and shipping platform that offers patients access to many of the very same supplements that we stock in our dispensary. Dr. Bossio will set up your initial prescription in the office. As a follow-up, you will receive an email within 24 business hours from Fullscript (please check your spam/promotions/junk folder). The email will contain a link for establishing your login and password, from there you can place additional orders. Fullscript orders over $50 ship for free. If Dr. Bossio has prescribed Xymogen products for you and you would like to refill your order online please go to the Xymogen eStore. Click on "new user", then "I'm a patient." Here you will enter the referral code and password that Dr. Bossio provided to you. If you did not receive the referral code please give our office a call. Xymogen orders over $49 ship for free.